While you can’t have fondue on Facebook, there are many ways that social media can benefit ministries and churches. Here are just a few ideas. Please feel free to add your own suggestions. One of the most difficult things in nearly any group is communication. Whether a marriage or a country, communication is tough. I don’t know about your church, but at ours (I’m not a pastor but I am in leadership), communication is tough. We have difficulty making sure everybody is aware of upcoming events. It’s sometimes hard to cast vision. And we aren’t always aware of the needs in the congregation. Note: As we look at open communication, don’t forget that there are some things that should be kept private. Don’t let the ease of communication on social media push you into inappropriate territory. Here are just a few ideas on how electronic social media might help facilitate communication (that’s really what it does best). Add your suggestions in the comments. 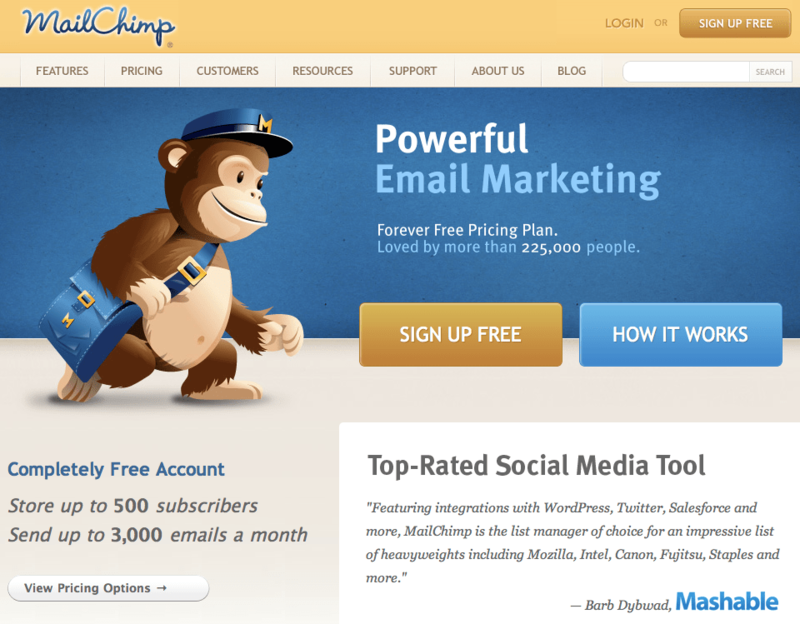 Mail Chimp, for example, offers free service to Churches and other non-profits. Their program will manage your email address lists, help you design your emails, track reader response and even integrate with Facebook, Twitter, and Google. Don’t let anybody fool you. Email is the your largest social network. And it’s the most open social network. I think of Twitter as SMS conversation, quotes, and headlines. People share wisdom (or what they think might be wisdom), news, dialog about it. The beauty of it is that users can choose whether to get updates from a particular user as a text message on their cell phones. Certainly, you might want to explain what’s going on. But it’s really simple. It gives you the ability to send short messages via free text and each person is still in control of whether they get a text message. Much of the job of a spiritual leader is to encourage others to engage their entire lives in God. Leaders certainly serve in practical, hands-on ways. But leaders also must teach, cast vision, and encourage others gladly seek after the glory of God. Blogs make a great addition for a church or pastor. But I’d encourage you not to simply reprint Sunday’s sermon. Rather, use a blog for additional teaching, for added depth, or to encourage people to think deeply. In my opinion, the best use of a blog and a related Twitter account (set up for this purpose) is as an extension of the Sunday sermon. To keep it in the hearts and minds of the parishioners for an entire week so that it becomes deeply planted in their hearts. Tuesday Blog: Deeper discussion of the characters in the story – the two sons and the Father (with Twitter notification). Friday Music: Find a great piece of music on YouTube (or other music source), post it on your blog with a short write-up, and send out a Tweet. Again, electronic social media is no substitute for the deep relationships that come from sharing your life with others over the course of years. But there are some ways it can help build relationships. I’ll go on to those in a minute. But before I do that, I’d say that if many of your parishioners are on a particular social site (Facebook is popular at our church right now), that is where you should probably focus your initial relationship-building. Social websites such as Facebook create an interesting phenomenon that isn’t really possible in “real life.” It’s possible to keep relationships somewhat at a distance. While this is not good in terms of developing lasting relationships, it does give somebody who is a little gun-shy the opportunity to warm up to you. While I know that you are wonderful, there are some people who have been hurt. And very often, those people need a chance to know that you’re trustworthy and gentle before they can open their hearts and lives to you. Electronic social media can give them that chance. Obviously, this list is not all-inclusive. I haven’t even talked about Tweeting Bible verses, making videos, or posting the audio of your sermons online. Do you think any of these ideas might help you? What ideas do you have? Would you share them with me? How can we use electronic media to grow in God’s grace?